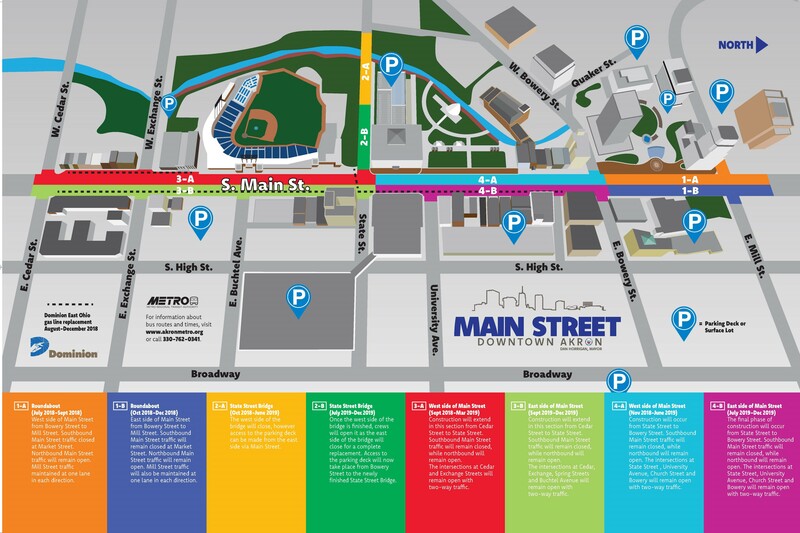 Akron, Ohio, November 20, 2018 – As part of the Main Street Corridor project, Dominion Gas line repair and replacement work will begin on Main Street in front of Lock 3 on Nov. 26, resulting in some closures and impacts between State Street and Bowery Street. One lane of north and south bound traffic will be maintained, and on-street parking will remain on the east side of the street. For up-to-date information about the project, updated pictures and live camera feed of the demolition and rebuild of the State Street Bridge, please visit www.driveakron.com/main-street-corridor-updates.aspx .